Brooksville, Florida – Frontier Tactical is a firearms manufacturing company like no other. Hello! I’m Nate Love, the CEO and owner at Frontier Tactical. You can read more about my background here, but I’m not here to write about me. 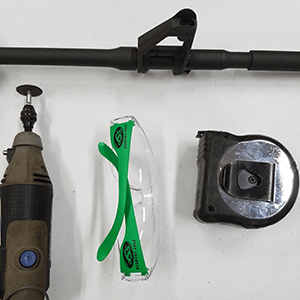 For those of you who always like to find something new and different to do with your AR-15, this tutorial is for you. He rolled his eyes and laughed before leaving. What I didn’t tell him, is that secretly I wanted to do this with my own hands, and not run it on the machines. I wanted a project, and the memories to be made. To experience the little bits of plastic up and down my arms. I imagine we will eventually be making many handguards with the slots machined, but this first one was going to be a project. It would be an adventure, and I would succeed or fail by my own skill. That’s why I did the first one with the A2 handguards. Then I did the Magpul one. Before we get into the tutorial, now is your chance to back out. Seriously. Run away before you become addicted. Just kidding. Estimated time is between 30 minutes and 1 hour (not including hospital trips, or arguments with your wife). Please remember, that with a rotary tool or file, less is more. Check fit often. It is very easy to remove too much material. So, check that fit! What we’re going to do, is a project that no one we know of has ever tried. We are going to use a standard 2-piece handguard, and our new product. The Handguard Cap Adapter. 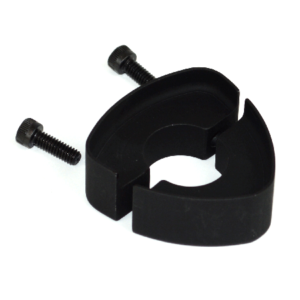 Depending on which two-piece handguard you choose, you may use either our Round or Triangular Handguard Cap Adapter. We will be mounting the handguard with our adapter. 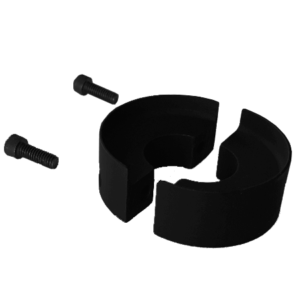 Our Handguard Cap Adapter replicates a standard handguard cap for the AR-15, and with a small change to a standard handguard, we will be able to mount this 2-piece handguard directly over an A2 front sight post. Using our handguard cap adapter, you will be able to use most AR-15 two-piece handguards, and run whatever length you would like. 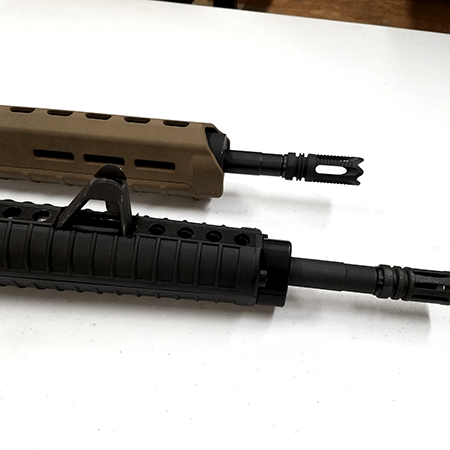 In this tutorial, we are putting a rifle length handguard on a carbine length gas system. Let’s go over some of the benefits with this modification. The most obvious, and easily the nicest bonus, is that it can save you money. 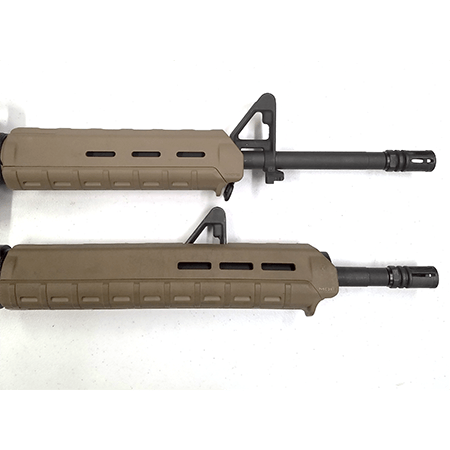 Two-piece handguards typically cost much less than free float rails. Handguards are also much lighter in weight, and most of them come with their own heat shields. 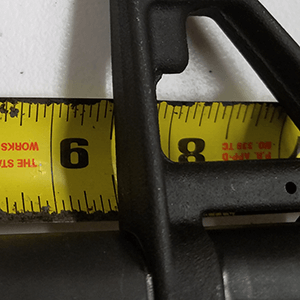 If you have considered a free-float handguard, and it was primarily because of the desire to have more “real estate”, you may want to rethink two-piece handguards. With a small modification, and our accessory, rails are no longer your only option. For those who want to keep their reliable front sight, and still get the added length for accessories and support, this is a project you have just got to try! Legal Disclaimer – Any information contained in this tutorial contains no warranty or guarantee of any kind. It is posted for educational use, and you agree to accept responsibility and liability for use of this information. Ensure your firearm is unloaded and on safe. Remove all ammunition from the area. Remove the upper receiver from the lower receiver by pushing the rear takedown pin and front pivot pin. If you are modifying an existing build, you may choose to either remove, or cut away the handguard cap. To accomplish this, remove your hand guards. We recommend removing the cap. To cut away the cap, remove the gas tube by tapping out the gas tube pin. Using a Dremel tool or other rotary tool cut a straight line through the cap, as close to the barrel as you can. We recommend using masking tape and paying very close attention. Work very carefully. After cutting as close as you can, use needle-nose pliers to bend the cap back and forth until the cap breaks away. Remove muzzle device and punch out cross pins from front sight base. Typically, front sight post cross pins are tapered and are removed from left to right, although we have seen all kinds of versions (right to left, non-tapered, etc). Remove handguard cap. If you have removed the cap, reinstall front sight base and muzzle device. 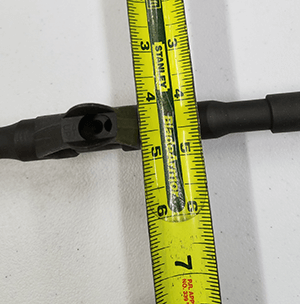 For the Handguard Cap Adapter – Measure where front of handguard stops at barrel. 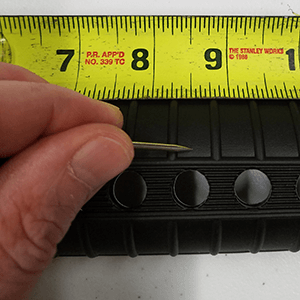 Measure the outside diameter of the barrel to determine which handguard cap adapter you will need. Both of our Handguard Cap Adapters (Triangle and Round) come with .750” and .875” options for the inner diameter, to accommodate standard and semi-bull barrels. Record this measurement. You will use this to determine which Handguard Cap Adapter you will need. 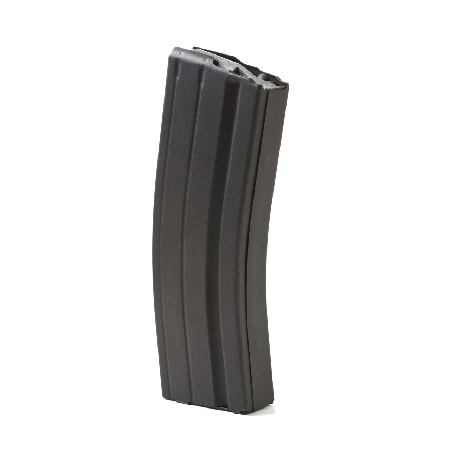 NOTE – It is possible that your barrel will have a profile that is too narrow for our Handguard Cap Adapter to fit. Depending on your barrel, and which length handguard you choose to run, you may need to source spacers to continue this build. If you need assistance with this, please contact us. Using the new longer handguards, measure where the front face of the front sight base will come through the upper handguard. Mark this location. Measure from that mark back to the rear of front sight base and mark that location. Mark the width of the front sight post base on the upper handguard. You should have a basic rectangular area marked out on the upper handguard. Using rotary tool with cutoff wheel cut just inside measurement on upper handguard. Attempt to test fit as you go. Remove excess in cutaway area until handguards fit snug over front sight base. A sanding drum on the rotary tool is great for hogging out larger areas. The rotary tool is best used to remove the bulk of the material. Switch to the file to get the sharp corners, and to clean up the straight lines. NOTE – Melting plastic from the cutting/sanding is hot and painful. Make sure to be careful while you are working. As seen in the picture, the project gun has a rifle length handguard on a carbine gas system (bottom). 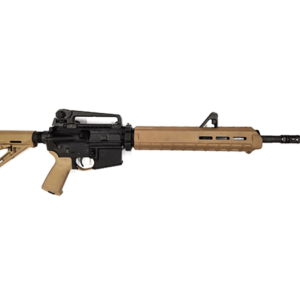 The comparison is made to a mid-length handguard and mid-length gas system (top). Your options for mounting of different length handguards are much more open with the Handguard Cap Adapters, whether over a front sight base, or over a low-profile gas block. This is a very secure build. With our handguard cap adapter holding the front of the handguard, and our handguard retainer assembly holding the rear, the handguards are secured at both ends. The fixed A2 sight remains on the barrel for solid, rugged iron sight use. 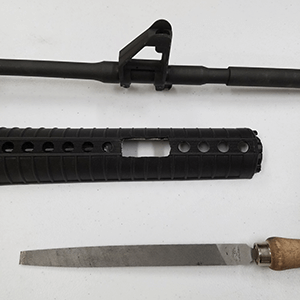 Our tutorial uses a standard delta ring style barrel, and the War Lock Multiple Caliber System (which you should upgrade your AR-15 with) to illustrate that the project can be completed with either style. Tags: diydo it yourselfFrontier TacticalFrontier Tactical Handguard Modification TutorialHandguard ModHandguard Mod Tutorialhow totutorialWhat If a Gunsmith Ran a Firearms Manufacturing Company?